Chandigarh boasts of excellent standards when it comes to education in the north region. The city is home to both convent and private schools, in addition to government schools in all residential sectors. A lot of parent’s time and thought goes into selecting a school for their children. Teaching standards, curriculum, school infrastructure, location – all are crucial while making that choice. With an increase in the number of schools and choice of Indian and International curriculum, the choice for finding a perfect school for your kid is tougher than ever. 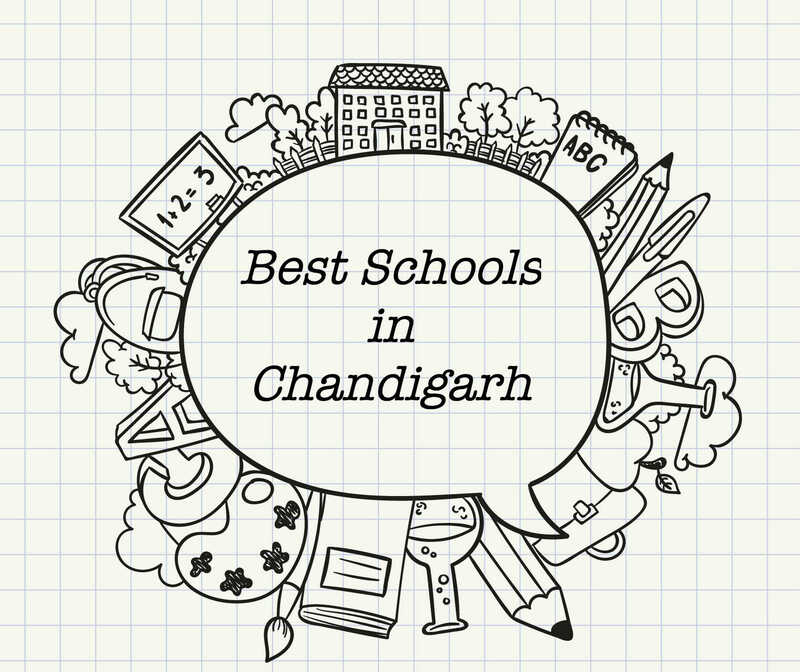 We hope the list of top schools in Chandigarh will help you in arriving at the decision. St. Johns High School is an all boys, English medium pioneering institute located in the heart of Chandigarh. The school was founded by the Congregation of Christian Brothers in 1959. It has been awarded as the best school in tricity for three consecutive years. The school is affiliated to CBSE board and promotes the all around development of its students. Bhavan Vidyalaya was founded in the year 1983 and boasts of being the oldest educational institutions in Chandigarh. In the All India Survey of Schools in 2012, it was ranked at 42nd and its academic reputation was ranked at 4th. The school with its 2 lakhs students has various clubs like MUN Club, Drama Club and IT Club. Vivek High School was established in 1984 by Bhagwant Singh Charitable Trust. The school is co-educational and affiliated with Central Board of Secondary Education. The medium of instruction is English. The school has a total of 1700 students with 120 staff members. Its main focus is the development of social awareness and leadership qualities in students. Carmel Convent School, Chandigarh, an all girls school is regarded as one of the top institutions in Chandigarh. It was founded in 1985 by the Congregation of Sisters. The school is affiliated to the Central Board of Secondary Education and the medium of instruction is English. The school has a beautiful infrastructure with spacious buildings and playground. The school’s mission is to provide quality education to its students. Delhi Public School was established in 2003 and is known as a private secondary school. The school belongs to the part of chain of schools administered by Delhi Public School Society. The school is affiliated to Central Board of Secondary Education and provides schooling for 14 years. The school has a modern infrastructure with a spacious building and airy classrooms. The school commits to making its students progressive thinkers. Yadavindra Public School is a premier public institution based in Mohali, Punjab. The school is a part of the Indian Public Schools Conference. The school was established by Maharaja Amarinder Singh of Patiala. The school is affiliated to the Council for the Indian School Certificate Examination, New Delhi and the medium of instruction is English. The objective of the school is to mould its students physically, morally to become progressive citizens of India. Government Model Sr. Sec. School, Sector 16 is known as the first Model School established in Chandigarh in 1954. The school is surrounded by Rose Garden and Leisure Valley. The school provides 14 years of schooling. The school is affiliated to Central Board of Secondary Education and the medium of instruction is English. The school has a well stocked library with approximately 25000 books and magazines. Sacred Heart Sr. Sec. School is one of the oldest convent education institutions in Chandigarh. The school has completed 45 years in the field of education. The school has a faculty of experienced and highly qualified teaching staff. The facilities and infrastructure of the schools provide students a chance to explore their potential in many fields. The school is affiliated with Central Board of Secondary Education and the medium of instruction is both English and Hindi. The school was established in 2004 under the patronage of Durga Das Foundation, a non-profit, non-governmental organisation. The school provides education to the age group of 5-18. The school is affiliated to Council for the Indian School Certificate Examination and offers education till 12th. The school has a sprawling campus with large rooms, library, and amphitheatre and computer rooms. St. Kabir is a convent premier educational institution located in Chandigarh. The school is ranked as one of the best institutions in Chandigarh. The school is well equipped with laboratories, library and a multipurpose hall. It provides education from Nursery to Class 12th with 95 faculty members. The school aims at imbibing ethical values in its students through teachings of Holy Scriptures.